Every year, we set out to reach new goals and change our lives. This may mean finally meeting that girlfriend or boyfriend, achieving the dream body, or increasing our salary. Or maybe it’s all three, and a bit more. 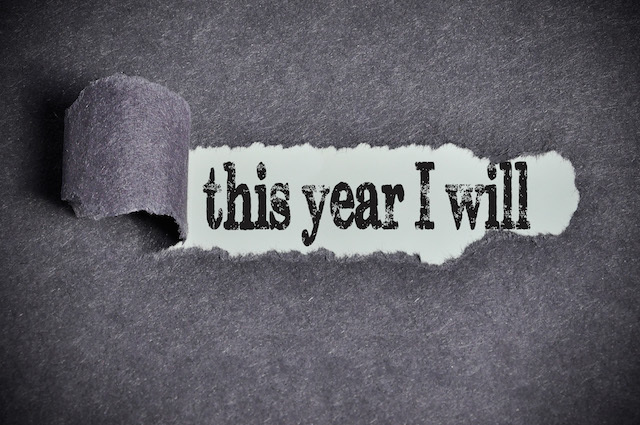 Whatever combination of goals we have, they help us see how we want to live out our year. But we can get obsessed with reaching them, so much so that we start to lament that we aren’t already where we want to be. Goals may inspire us, but they can just as easily drain us. Over time, I’ve come to realize that this isn’t because goals are wrong. It’s because, for many of us, our approach to them is completely misaligned. For four years, I struggled using standard goal setting ideas that got me nowhere. I experienced psychological pressure and pain from always feeling like I would never be enough, until I reached some magically self-created utopia through achieving my goals. I never ended up accomplishing most of them. I remember desperately working to be fit for a fitness test; training so hard that I ended up giving myself a chronic heel injury that I still have to this day. In reaching for my goals like they’d somehow make me complete, I pushed myself past my limit. With every goal I had, this theme would repeat itself. I went after each goal like it’d make me or break me. Maybe growing up in a home with domestic violence, year after year, made me go after my goals with the idea that achieving them would heal me. Maybe feeling out of place every time I visited my divorced father’s home left its mark on me. Perhaps it was these early experiences that unwittingly forced me to pursue goals in my adult years with the sentiment that they’d make me “complete.” That I’d finally be okay after I reached X, Y, or Z. But eventually, after nearly half a decade, I realized that goals aren’t about belonging, or reaching a safe place. They’re not there so that I can prove myself to anyone, even myself. They’re just there to help me move forward, to grow, and become a better person, however simplistic that may sound. It’s through my failures, pains, and wins, and countless hours of study on this topic, that I’ve learned various remarkable secrets to achieving your New Year’s Goals. Over the course of 2016, I managed to achieve several different goals. They include reading over seventy books, improving my income, traveling to various countries, and reaching something that’s a lot closer to my dream body. But more importantly, I achieved my goals in a far more grounded way. Compared to previous years, I felt more excited throughout my journey. I didn’t feel like I was grasping and yearning helplessly, with flailing arms, for my goals. The beautiful side effect of that was that I was less wrapped up in my own bubble, which meant I was finally able to forgive someone who hurt me deeply. I share all of this to show you that positive internal change is more than possible, even with the deepest experiences of disappointment—year after year. No matter how many times you’ve felt like a failure before. No matter how many times you haven’t stuck to your goals. With a more optimal approach, you can move happily toward your goals with an acceptance of the present—and the recognition that you don’t need to prove who you are to yourself. That will extend itself beautifully to the benefit of those around you. A goal becomes a compass goal when it improves your present in a meaningful, exciting way. It’s there to teach you something about yourself and the world, but you’re not too attached to the outcome you’re going after. With a series of compass goals, life becomes a mixture of interconnecting wormholes that move you toward greater growth and fulfilment. Pursuing goals is a lot like riding a bicycle toward different destinations. You need to know when to speed up, based on the terrain that’s in front of you. You need to know when to slow down, based on the obstacles you eventually come to face. And you have to make those decisions while remembering that you want to get to those various places on time—while maintaining your sanity throughout the journey. Even more importantly, you need to know if a goal or destination is even worth going for in the first place. You can’t take a trip to a planned destination lightly, and some goals will take longer to reach. The exploration we’re about to delve into will show you exactly how to decide which of your goals are worth going for, and how to go about pursuing them. But first, let’s make something clear. There’s this idea in our culture that suggests that we’ll magically “make it” once we achieve a certain milestone. It could be anything from releasing a viral video, winning American Idol, or joining an NBA Team. Through the slipstream of celebrity culture, with rap songs with lyrics “mummy, I made it,” we’ve been subtly co-opted into this idea that our very sense of self-worth, and who we are, is dependent on reaching some magical dreamland. But this is merely an illusion. One that, I regret to say, I succumbed to for over four years. But while reaching a goal can radically improve the quality of your life, it’s not the end-all and be-all. After reading x amount of books in a year, it will be your job to internalize the lessons from what you read so that they lead to an improvement in your character. You’ve gained ten pounds of muscle and feel great. Now you need to make sure you maintain your muscle mass, which means you’ll have to continue training at the gym, in some form, for the rest of your life. Now that you’ve doubled your income, you’ll have to keep working at the same level to maintain your salary. Meeting the love of your life has countless benefits. But now you’ll have to put in time and effort to help make that relationship thrive. Every goal achieved brings with it a new set of responsibilities. Life keeps moving forward, regardless of which destination you reach. Once you understand this, you can take goals off the pedestal, so to speak, so that you get after them with greater confidence. 1. Is this goal something I can see myself pursuing with excitement, despite its difficulty? Does it give me rewards along the way? 2. Can I write a set of daily or weekly actions that I’ll stick to consistently, adjusting them when necessary until I reach my goal? 4. Will I be okay with not getting the outcome I want because I recognize how much value this journey will provide me with regardless? The last question (being okay with not reaching the result) helps you relieve an enormous amount of pressure. If you’re okay with not getting the result you want in advance, you don’t live in a make-it-or-break-it paradigm. Instead, you live in a playground that leaves you free to achieve something if you’re willing to do what it takes. It’s okay to have burning desires, but they only help us if they’re tempered in the right way. Paradoxically, it’s only by letting go of the outcomes we seek (while working toward them) that we’re freer and likelier to achieve them. If you answered yes to all these four questions, then you have successfully created a compass goal. Looking back, it’s easy for me to see why I didn’t achieve a lot of the goals I went after. I would have relieved myself of continual heartache had I asked myself these four questions before setting my goals. How Many Compass Goals Should You Have? You’ll want to pick between no more than three to ten compass goals per year, across the different areas of your life. The tricky part is making sure they’re all aligned with each other. So, as an exaggerated example, you can’t travel across the world for six months and aim to double your income the same year. Compass goals don’t work nearly as effectively unless you write them down with a planned completion date and assign a category to them. You also want to make sure you can see them every day so that you’re continually excited about them. Writing the goals you want to go for and qualifying them with the four-question checklist is one of the secrets to achieving your New Year’s goals. But for every destination, you need a map. Let’s explore three examples to demonstrate how to build a map for each of your goals. There might end up being more to it than that. For the weight loss goal, for instance, you might try to sleep more. For the reading challenge, you might make a list of books you want to read. For the income goal, you might end up negotiating your salary. Yet all you need to do is define your compass for each goal (your measuring tool) and write two of the most important actions you’ll be consistently taking, along with your why (your intrinsic motivation)—the rest will happen naturally. The four-step plan (map) you outline at the beginning of the year for each of your compass goals is the plan that will get you started. But the closer you get to achieving a goal, the likelier you’ll have to adjust your actions to make continual progress. Obstacles may inevitably intervene. You may feel like you’re running out of steam. You might have to take a detour. But by continually using your compasses, you’ll remain ready to make the appropriate adjustments to steer you back in the right direction. A compass lets you see how close you are to your destination so that you can make adjustments that will take you to your goal faster. Without one, you won’t arrive where you want nearly as quickly, and you might even get lost along the way. Using a compass regularly reminds you to stay motivated and on track throughout the year. It encourages you think of creative ideas on how to reach your goals more effectively. With the common SMART goals approach, you’re told to set a deadline for each goal so that you’re stretched. But developing a map and compass for each of your goals is more important than having a planned completion date. Alas, use deadlines, but use them to fuel your goals rather than constrain you. Also, make sure you don’t give yourself too much time to achieve a goal in a year. The journey, similarly to riding a bike, is a lot more fun where you go faster—and that’s why deadlines are useful. 1. Understand the value of your goals; while the achievement counts for something, who you become along the way is more important. Don’t let your goals run you, run your goals. 2. Realize there is no end-point; achieving goals doesn’t mean “you’ve made it.” You’ll always be striving for growth in different areas of your life. 3. Every goal achieved brings with it a set of new responsibilities, so be willing to take those responsibilities in advance. Don’t choose a goal lightly. 4. Qualify your goals with the four questions to determine if you have a traditional goal or a compass goal. A traditional goal will prod at your self-esteem and make you feel unfulfilled along the way. A compass goal is lighter and makes you enjoy the journey. 5. Pick between three and ten compass goals for each year and categorize them—i.e. health, wealth, love—so that you can see where they influence your life. Read them daily so that they’re always there to energize you. 6. Develop a map for each of your goals by deciding on your why, two consistent actions, and your compass. Adjust your actions at the appropriate time if you stop seeing progress through your compass. 7. Use your compasses for your goals either weekly, or biweekly to continually assess how close you are to reaching them. Many of us make goals more important than sharing love with those around us, living by our values, and appreciating what we have. Over the last half a decade, I’ve come to learn that goals are only worth having if they can enrich our lives right now. Because how we consistently experience the present will always determine the beauty of what we reap. I hope this piece helps you go after your goals this year with a renewed sense of vitality and excitement. The philosophies in this article were shaped by my life but also by some great authors. I’d like to especially thank: Scott Adams, James Clear, and Danielle Laporte for the way they’ve influenced my thinking. Samy Felice is a writer who is passionate about unique ideas related to living meaningfully through positive habit change. His free book explores ways people can craft their work week to maximize daily happiness and productivity.